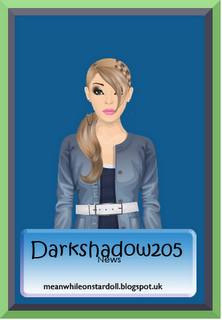 I actually came back on Sunday but I was trying to catch up with the news on stardoll. 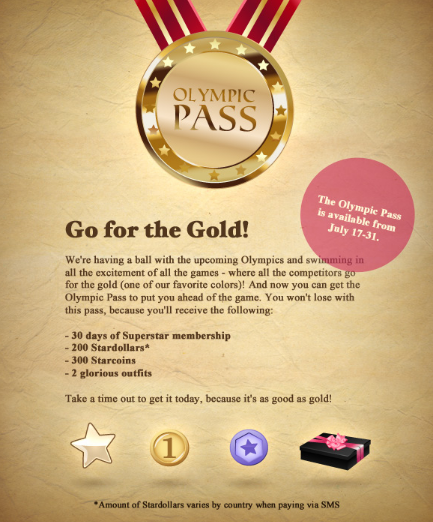 Another superstar membership offer called: ''Olympic Pass'', available from July 17 till July 31. What do you think of it? Are you going to get it? You can see it ! In messages you'll get the picture you post it.. Click on it. Then it's like (ex) : 200 stardollars . 7 free gifts. Click on "/ free Gifts" That's it!